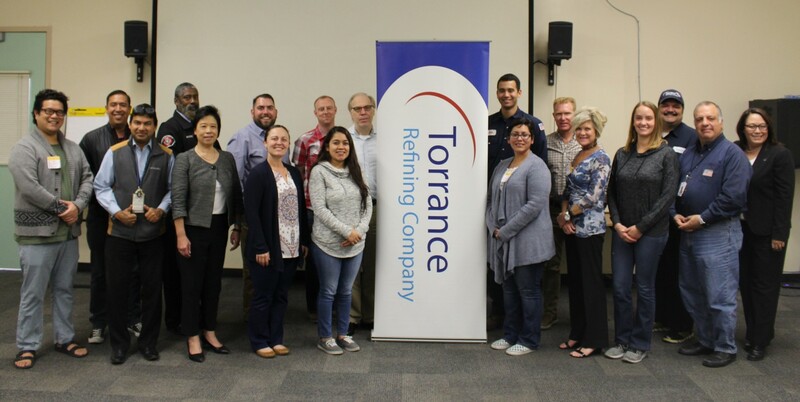 The Torrance Refining Company LLC (TORC) is pleased to once again provide $100,000 to support teachers in the Torrance Unified School District (TUSD) through the company’s “Innovation Education Grant Program (IEGP).” This unique program seeks to enhance curricula in science, technology, engineering, arts, and math, commonly known as STEAM. Salvador Sanchez, Sharefest Community Development, Inc. In total, 37 teachers were awarded grants. They will implement their project proposals during the 2018-19 school year. To qualify, teachers were required to show a direct link to “Design Thinking” techniques, which provide solution-based approaches to problem-solving, while incorporating “Common Core” state education standards and “Next Generation Science Standards” into their proposed curriculum. The program will culminate in June 2019, when TORC will host a special showcase event to highlight the projects funded through the program and recognize the winning teachers for their projects and programs. Congratulations to the grant-winning teachers listed below! The Torrance refinery is located on a 750-acre site in Torrance, California. The refinery receives it crude oil primarily through a direct pipeline connection to California central valley and also has access to waterborne feedstocks through the Ports of Los Angeles and Long Beach. The refinery produces approximately 1.8 billion gallons of gasoline per year, which represents approximately ten percent of the gasoline demand in California. In addition to blending three grades of gasoline, Torrance produces diesel fuel, jet fuel, liquefied petroleum gases (LPGs), coke and sulfur. The refinery ships products to customers via a series of proprietary pipelines and terminals throughout the region via truck, rail, barges, and ships.